Who is it for? 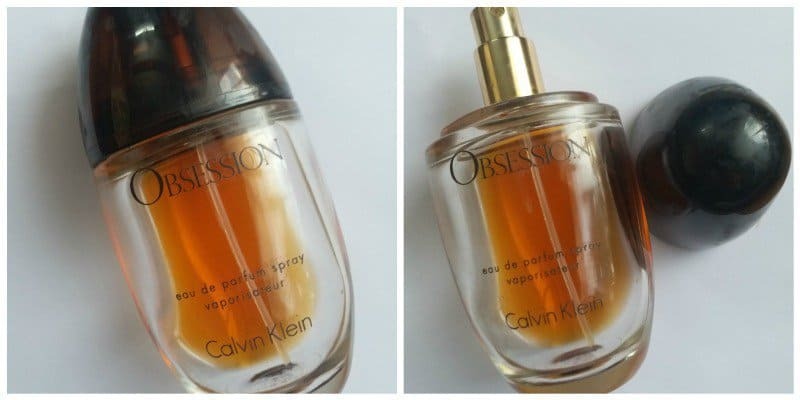 The Calvin Klein Obsession is an Eau de parfum that is for anyone who prefers a strong and spicy fragrance. It is definitely not for the ones who love fresh and light perfumes. Spray the fragrance directly onto the pulse points for it to last all day. The bottle comes in the white CK fragrance cardboard boxes. The perfume is packaged beautifully in a slightly curved bottle with a burgundy cap and a goldenish-brown liquid. The fragrance feels very classy and luxurious as it has strong and spicy notes but it still has an alluring feeling to it. The fragrance of the perfume is very spicy and strong on the first whiff but it grows on you as you wear it. The fragrance slowly progresses from spicy to slightly sweet as the day progresses and keeps the wearer smelling good. The fragrance stays for the whole day which is up to 8 to 9 hours on me after which it becomes transforms into a slightly sweeter version which also amazing. This perfume is a definite repurchase for me as it has an amazing fragrance and lasts all day which is everything you ask of a good perfume. This one is a sure recommendation. CK One Perfume – Worth It? Victoria Secret Perfume Roll-On : Ready to Go! 9 Killer Hacks To Make Your Perfume Last Longer !! I don’t particularly like the packaging of this one, I prefer clean cuts and sleek looking bottles. But I might give this a try because of the spicy and strong fragrance. Nice review!! Strong fragrances trigger my migraine issues so I try to avoid spicy fragrances..